Chasing 157, Cutting and 19-year-old Max Bryant reached the target at smack on the ten-over mark when Bryant again cleared the fence. Half the time, with Cutting and Bryant sharing half the strike at 30 deliveries apiece. Cutting took out the player of the match with his unbeaten 81 with four fours, and eight sixes, while Bryant’s 71 not out, a career high, included six fours, and five sixes. 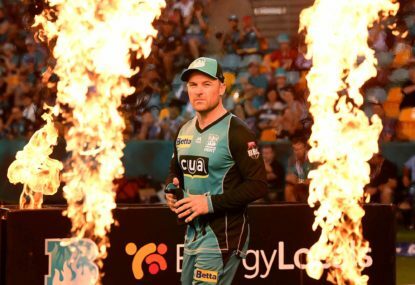 Questions were asked why the ‘Bash Brothers’ – skipper Chris Lynn, and Brendon McCullum playing his last game at the Gabba – didn’t open when the Heat had to win at all costs, or miss the semis. Cutting and Bryant gave the knockers the definitive answer – and then some. Their ball-striking was pure, and permanent, sending the 21,391 crowd into overdrive. Most came to farewell McCullum, but in all honesty they didn’t want this spectacular event to end. The net result saw the Heat leapfrog the Stars into the top four, and it will take a huge effort from the Stars to beat the already qualified Sixers at the MCG tomorrow afternoon to reclaim the last spot at the Heat’s expense. So who are the Australians who have turned in bigger partnerships that Cutting and Bryant’s 158 off 60? Top of the list are Aaron Finch and D’Arcy Short, who combined for Australia against Zimbabwe in Harare last year for a 223-run opening stand. Finch finished with 172 off just 76 with 18 fours and ten sixes – Short playing second fiddle with 46 off 42 with three fours and two sixes. Finch’s 172 is the second highest individual T20 score to West Indian master-blaster Chris Gayle’s 175* off 66, with 13 fours, and 17 sixes, set with RCB against the Warriors at Bengaluru in 2013. Adam Gilchrist and Shaun Marsh are next with 206 for the second wicket playing for Kings XI against RCB at Dharamsala in 2011. 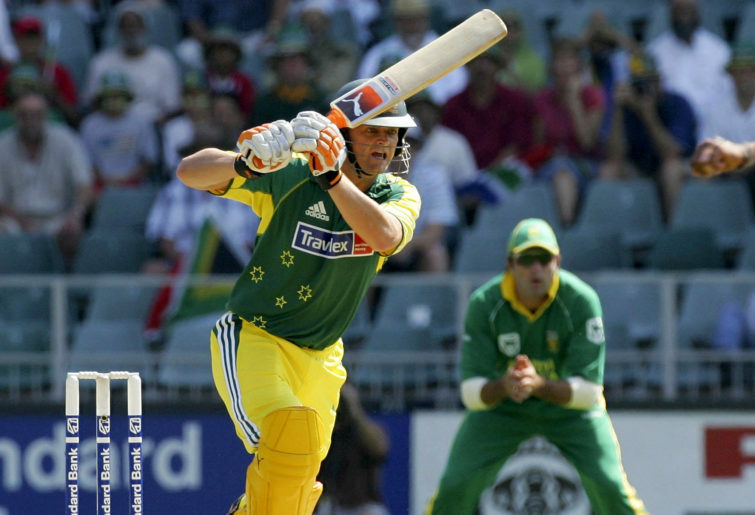 Gilchrist cracked 106 off 55 with eight fours, and nine sixes – Marsh’s 79 off 49 included seven fours, and five sixes. Justin Langer and Cameron White shared 186 for the second wicket playing for Somerset against Gloucestershire at Taunton, in 2006. Langer’s 90 off 46 included ten fours and four sixes – White’s 116* seven fours, and nine sixes. 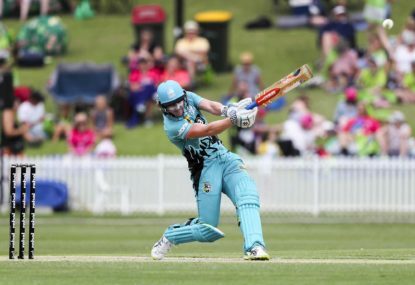 Shaun Marsh appears again with Michael Klinger in an unbeaten 171-run opening stand for the Scorchers against the Renegades at Docklands, in 2015. Marsh’s 76 with off 54 included just three fours and three sixes, while Klinger’s 90 off 58 featured seven fours, and three sixes. 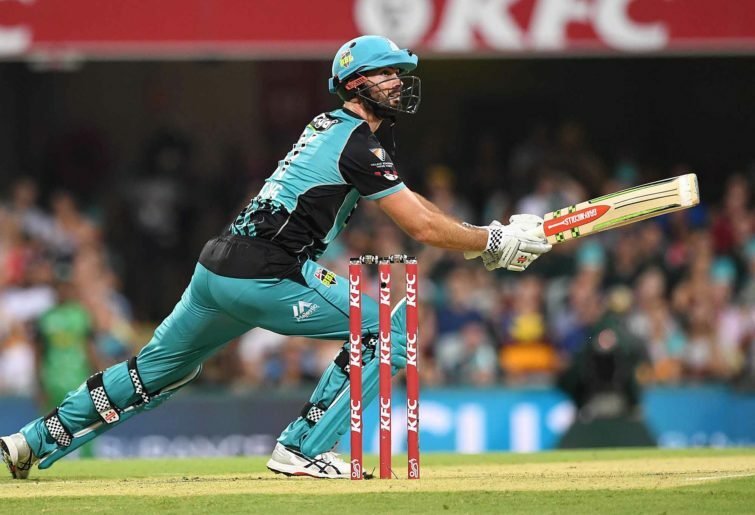 Alex Carey and Jake Weatherald also shared a 171-run opening stand for the Strikers against the Hurricanes at Adelaide last year. 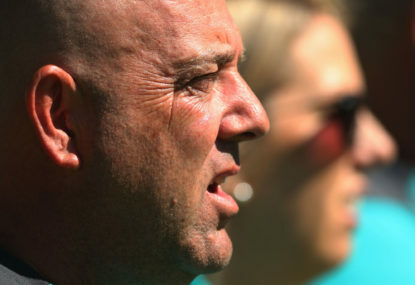 Carey posted a neat 100 off 56 with 12 fours and four sixes – Weatherald 65 off 52 with five and four. David Warner and Glenn Maxwell shared 161 for the Australian fourth wicket against South Africa at Johannesburg, in 2016. 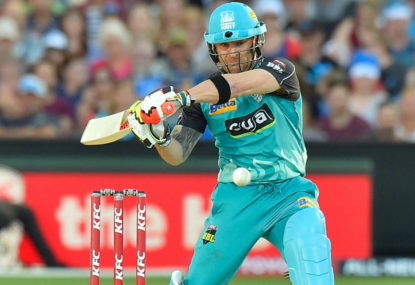 Warner’s 77 off 40 included six fours and five sixes – Maxwell’s 75 off 43 with seven and three. Had Ben Cutting and Max Bryant batted first instead of chasing, what score would they have posted? The world record is shared by Royal Challengers Bangalore and the Australians at 263. The RCB was the Chris Gayle 175* in 2013, the Australians were against Sri Lanka at Pallekele in 2016 when Glenn Maxwell made his career-high 145* off 65, with 14 fours and nine sixes. Seeing those records were set at 13.5 an over, and the Cutting-Bryant stand was cruising at 15.8, it would be a fair bet the latter would have gone better than 263.